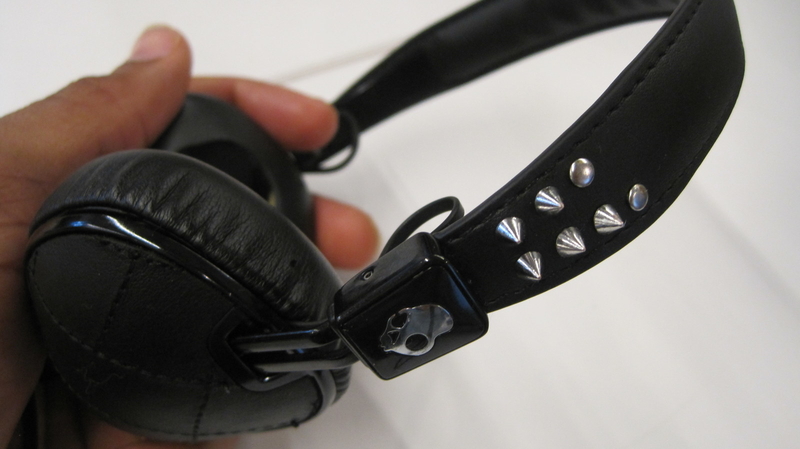 A pair of Skullcandy Knockout headphones, Threes! subscription, Xoopar Boy Bluetooth speaker, and more gizmos, gadgets, and apps tried and tested by BuzzFeed editors. 1. A Kodak photo printer that'll give you professional-quality prints right at home — so special memories can live outside of your screen too. You know all those photo albums your parents have stacked away in their closets, filled to the brim with pictures of your childhood and vacations and weddings and backyard parties and other sweet memories of yore? If you, like me, have a soft spot for those bulky ol' things, you know that there's something about scrolling through old images on Instagram or Facebook that doesn't quite fill you with that same sense of warmth the way flipping through tangible, paper photos does. And sure, while we may never return to the photo-album era, sometimes you might have that one special photo you'd like to preserve in an IRL form — in a picture frame or scrapbook or elsewhere — and you probably want it to be a better-quality image that the kind you'd get if you'd just printed it out on computer-printer paper. 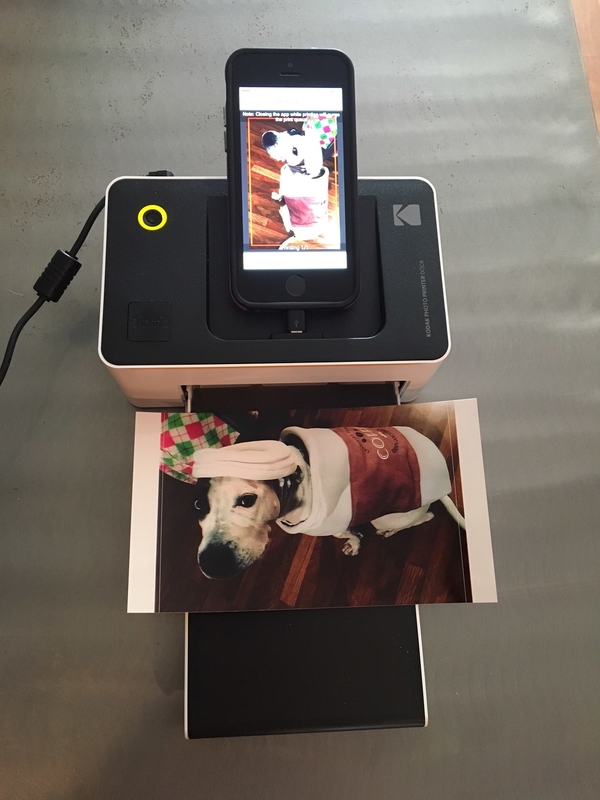 And here, my friends, is where the Kodak Dock & Wi-Fi photo printer comes into play: It's compatible with iOS and Android, and prints photos directly from your phone's camera roll. (It can also print from your iPad, USB stick, and digital camera.) Once you've set up the printer with the photo cartridge and paper, which is super easy and takes just a few minutes, all you need to do is download the free Kodak Photo Printer app. 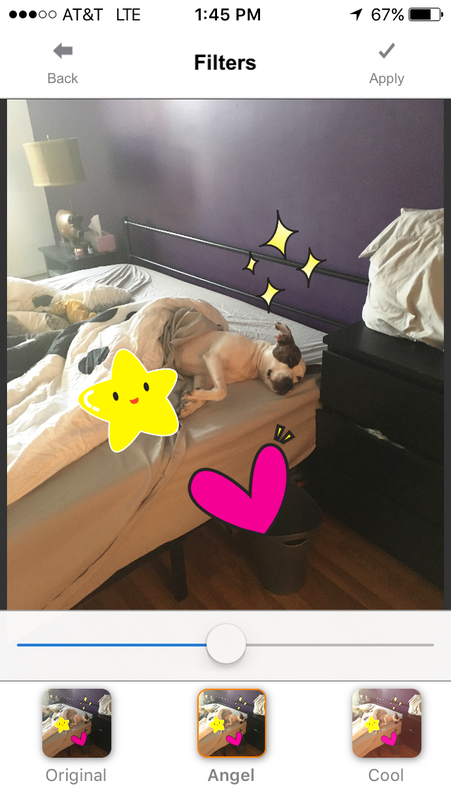 Plug your phone, then via the app choose what photo you'd like to print, and watch it do its magic. The photo passes through four times, laying down different colors, until the image is compete, and let me tell you: I was seriously impressed with the quality rendered! Get it from Amazon or Walmart for $139.99. 2. A Threes! subscription to keep you occupied with a new strategy game while refreshing those math skills at the same damn time. I am NOT the biggest fan of phone games. But the puzzle game Threes! most definitely continues to capture my attention more than two years after I first started playing it. The concept is simple: You slide numbered blocks around on a board to merge them together to create even larger numbers. But reaching your goal of having the highest number combos is the hard part, because smaller numbers will often get in the way of your putting certain blocks together. Not to mention that the only way you can combine two numbers is if they are the SAME number. 3. An Aukey dual-port charger with enough power to charge your phones and larger devices — like tablets and laptops — meaning you’ll NEVER run out of juice. Nothing has brought joy to my life recently like my Aukey portable charger. The charger has saved my phone numerous times from crossing over into Dead Phone Land. And it actually packs enough power for me to charge a phone one full charge and then some, if I need to. The device is definitely a little bigger than the tiny, pocket-sized chargers I own. But it is still conveniently sized and lightweight, easily fitting into my bookbag or tote. I like the fact that it has stronger charging power and a longer battery length than some of my other portable chargers. Plus — and this is a HUGE plus — it has TWO USB plugs to charge two devices at one time. This saves me from having to choose between charging my tablet or my phone when I'm in a situation where they both need a power boost. It also fits perfectly inside my Moleskine hardcover pouch, allowing me to keep my portable charger and USB cables organized in one place. It has an indicator light on the side to let you know how much charging power remains. And you can easily charge it back up by plugging the USB charger cord into an adapter for a wall outlet or into your computer's USB port. 4. An Echo Look so you can digitize the items inside your closet and make all your Clueless dreams come true. Ever since I watched Clueless and saw Cher Horowitz casually searching through her closet via her computer screen, I’ve dreamt of being able to digitally organize my wardrobe and plan ensembles before I opened my closet doors. I’ve toyed with online services that promote themselves as the “Clueless Closet” but, sorry (not sorry), they’re all full of it. Maybe they help you visualize an outfit or catalogue the things you own, but you never see them on you! Which, IRL outfits versus what I imagine in my head are often v. different. 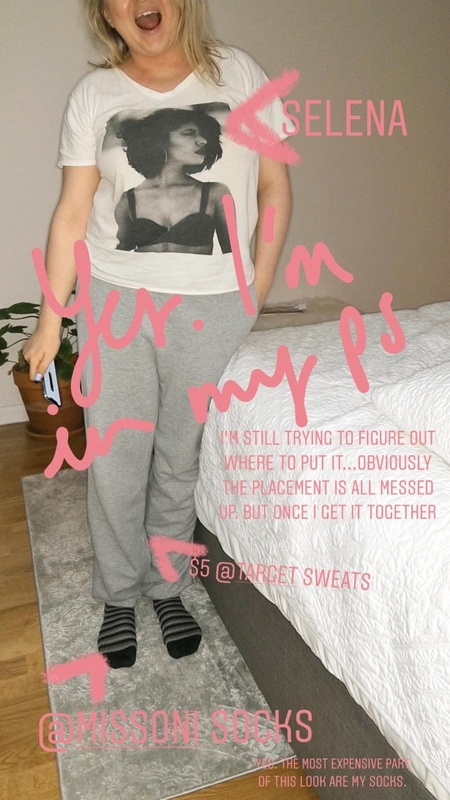 For a while I pretended like I was going to program a 3D scanner to digitally place pieces on top of my body so I could get a true fitting-room experience from the comfort of my bed...but I don’t know how to program or use 3D scanning technology, or even have a 3D scanner — so that never happened. Recently I was introduced to the Echo Look from Amazon, and for the first time in my life I feel like I’m getting closer to my Clueless closet dreams. Now, it’s expensive — $200 — but guys. GUYS! It’s so worth it if you’re anything like me and just wish so badly to have a digitally organized closet! 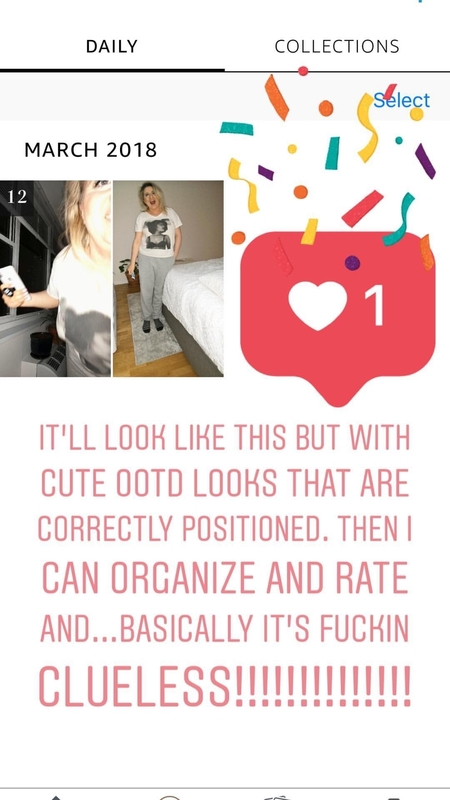 It literally does SO much: First, it’s a really great hands-free, high-quality camera that can take your OOTD (outfit of the day) pics and videos. You can use those for social or just to inventory a particular outfit. The camera can also be accessed via your phone, letting you view your angles, positioning, and everything else before you snap away. This is an exceptionally great feature if you want to know what you look like from behind, walking, or moving in your look. Once you’ve snapped your look you can use the Style Check feature to get opinions. YES, opinions! Should you add this jacket or that one? Which shoes look better? Should I wear this look or this one for night out? 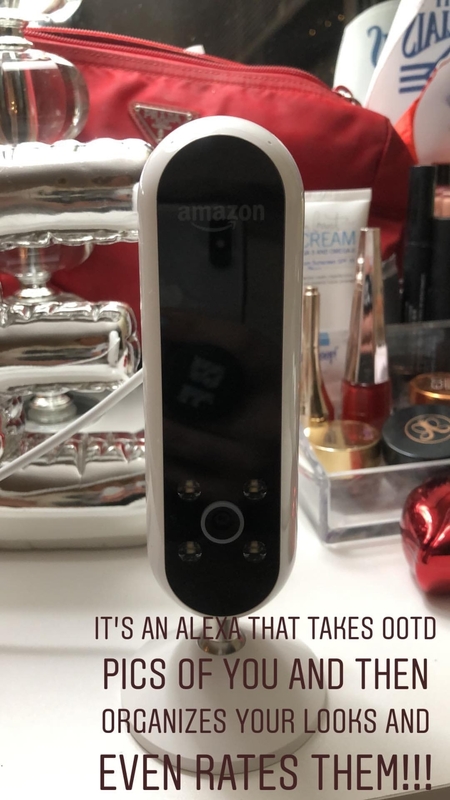 Using some fancy AF algorithms and advice from fashion specialists, the device gives you feedback on two submitted photos in just a few seconds. And the more you do it, the smarter these decisions will get — because robots or whatever. Like...this is nuts!!! I always thought when people said computers were taking over that they meant, you know, bad things, but this is amazing! At this point we’re just a few years away from a reality show called Robot Eye for the Human — AND I AM SO HERE FOR IT. Oh, and it doesn’t end there. You can organize closets based on trips, upcoming events, the weather. For instance, if you snap an OOTD, it’ll log it by the date and what the weather was on that date! I mean, tell me this isn’t the coolest thing you’ve ever dreamed of!! I’m exhausted from how happy this little machine makes me. Get it from Amazon for $199.99 (you must request an invitation to purchase the product). 5. A Whitagram subscription to quickly add some elegant backgrounds to your Instagram photos with just a few simple clicks. If you are anything like me, your Instagram is one of your most-loved social media pages AND you have a very specific vision for how you want you photos and account to look. I've always liked the way photos with a background or frame look on IG, and Whitagram has made it so much easier for me to edit my photos to include some extra white space around my images. Get it from the iTunes App Store for free. 6. An adorable Xoopar Grand Xboy Bluetooth speaker you'll want to cuddle the ENTIRE time it plays your favorites songs. 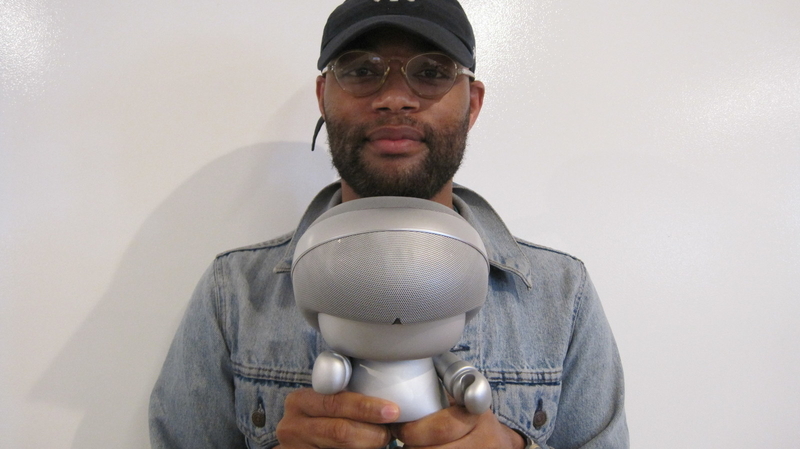 The minute I opened the Xoopar Grand Xboy speaker, I was OBSESSED with it. It's a larger version of the tiny Xoopar Mini Xboy Bluetooth speaker, but it is just as precious as its smaller counterpart. 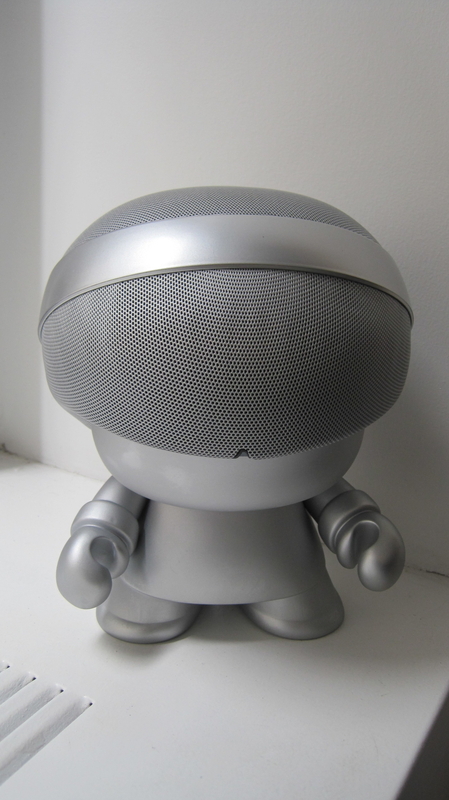 Don't be fooled by its cuteness, though: The speaker still packs some serious sound. I have gone through numerous Bluetooth speakers over the years. So the design of the Xoopar Grand Xboy speaker is quite refreshing, seeing that it doesn’t look like a boring block. I had no issues connecting it to my iPhone 6 — don’t judge my old-school phone — and the audio is great quality, with songs sounding clear and full while being played from the device. It also stays charged for a good amount of time, especially if you use it periodically, like I do. I typically use my Bluetooth speakers for just a few hours per week, and the Xoopar has no problem maintaining its battery life for weeks before I need to juice it back up. Recharging it is extremely simple as well; just plug it into a wall adapter. Get the Xoopar Grand Xboy speaker from Neiman Marcus Last Call for $50.70 and the Xoopar Mini Xboy speaker from Amazon for $39.99 (available in six colors). 7. A YouMail subscription so you won't miss another important call because you were out of voicemail-box space. I am admittedly the WORST at checking my voicemails, and I'm often left with a full voicemail box that isn't always able to be used by people who need to leave a message. But when I came across YouMail, all that heartache changed in an instant. YouMail is an awesome app that'll serve as your second voicemail option, storing messages from callers and alerting you that you missed a call — EVEN if your phone on was on airplane mode or you had no service. You can record a range of voice greeting options, including having it just read off your phone number. It also gives you a pretty spot-on transcription, so you can get an idea of what your caller needed without having to immediately listen to their message. The app includes several other customizable features, allowing you to easily delete messages, archive the ones you want to keep, and even add an additional line to your account. AND you can block callers to your phone too — which will definitely come in handy if you have a person (or spam number) you don't want contacting you ever again. Get it from the iTunes App Store and Google Play for free. 8. And a pair of Skullcandy Knockout headphones with some badass spikes, so everyone will know you play NO GAMES when it comes to your music. I initially planned to test my Skullcandy Knockout headphones as office headphones — you know, the ones you keep at your desk so you're never have to worry about being without a pair if you accidentally leave your main ones at home. They served their purpose well for close to four months, giving me no problems, clear audio, and comfortable wear — thanks to their cushioned ear pads. 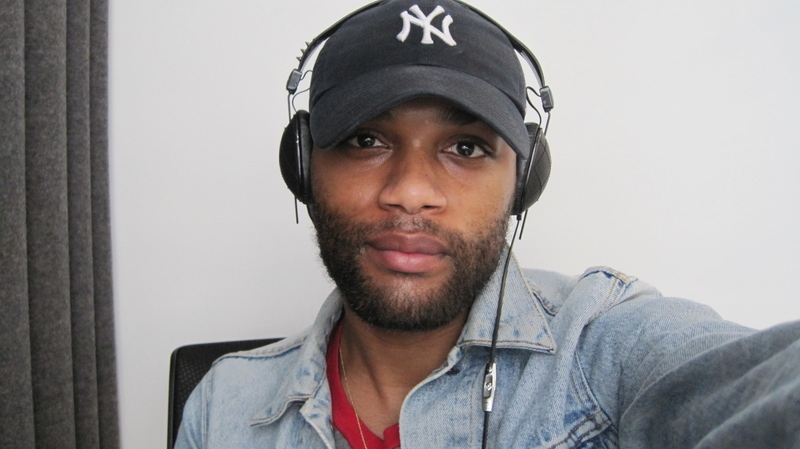 But when I had an issue with my main on-ear headphones, my Skullcandy headphones’ responsibility increased — and they soon became my work and commute headphones. So far, I've been thrilled with their performance. I've been using them for both roles close to two months now, with no problems. They provide solid audio, and the audio cable has been very sturdy, despite being tugged on and plugged into multiple devices day after day. They also easily fold up for storage, and come with a bag to protect them from scratches and other damage from being toted around. 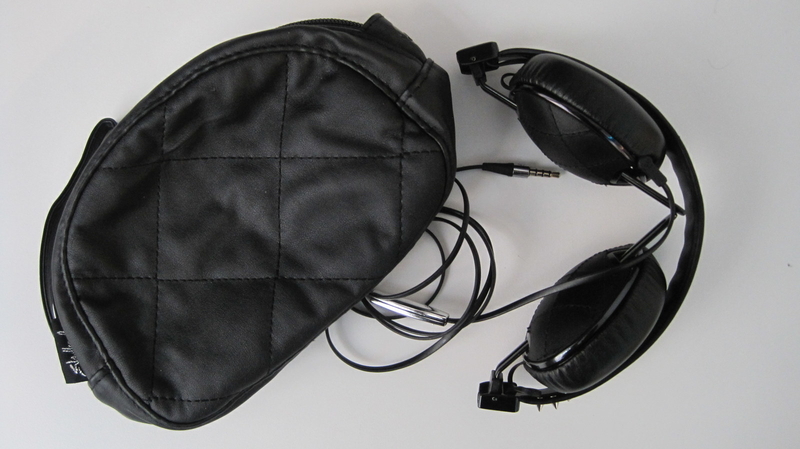 And the audio quality is great, especially given the headphones' affordable price point. Plus, the built-in mic — which often starts to glitch after a few months with lower-priced headphones I’ve had before — has continued to work with no issue. Get them from Amazon for $24.98.